All puppet shows listed here are available for libraries, holiday programs and the like. (Depending on circumstance). 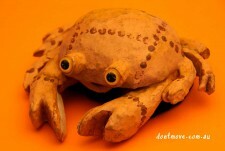 “Three Animal Stories” is also available to kindergartens and Pre-Schools. (Sorry I DO NOT perform at parties or Child Care Centres/Early Learning Centres). “A very entertaining puppet show. Having three separte stories as part of one show is BRILLIANT. I loved the parts where children bacame part of the show. All children thoroughly enjoyed the day. I received only positive comments. Of the HIGHEST QUALITY. Extremely amusing. Fantastic – extremely happy and will certainly recommend in the future’. Unlike my schools program, when performing for these smaller events, I perform just the 45 minute show session. 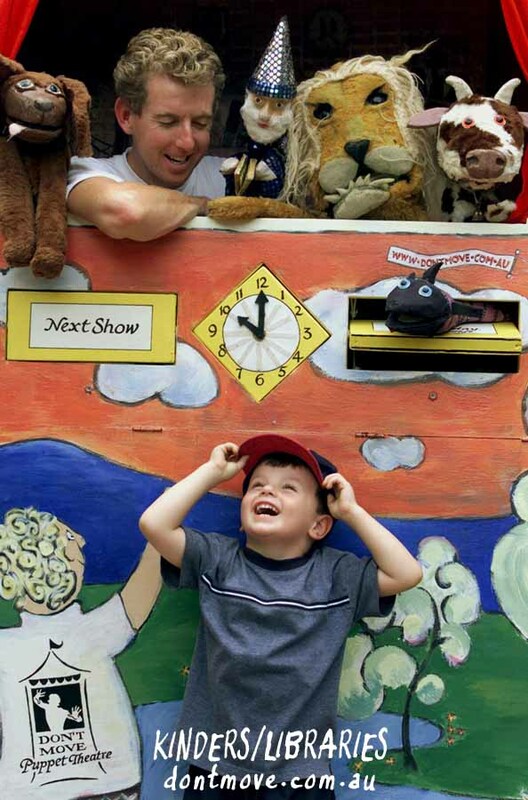 Shows are very interactive and are designed to keep the children involved at all times. Please also see my SERVICES page for more information and the CLIENT FEEDBACK page for updated comments from recent customers. Prices have been kept to a minimum assuming smaller audiences. The starting price for this sort of event in the main metropolitan area of Melbourne, Victoria is just $400 (Not registered for GST in 2019, no GST charged). This is for a standard Kindergarten group of about 25 children. (Two sessions on same day : $760). A sliding scale determines slight increases for greater distances traveled and for events with audiences of more than 25 children, usually around $470. As many clients do not know exact numbers until the day, we often use estimations and negotiate an agreed rate. For more accurate pricing on your own event, feel free to Contact Us. Generally speaking a library session will be $470 (Not registered for GST in 2019, no GST charged). “All the students enjoyed the show, as noted during the performance by their interaction with the characters, laughing at the appropriate places and also the chatter and discussions after the performance. We experienced a high quality performance that was very professional”.